A good digital marketing agency will give you all the benefits of a dedicated marketing team without the expense of maintaining this department in-house. When you’re choosing a digital marketing company for your business, it’s important to find the right fit so you can work with a team that’s as enthusiastic about your products and services as you are. There are strong contenders across the country who can help you improve visibility, fine-tune SEO, and curate great content. Here are a few of the top picks in Arizona. 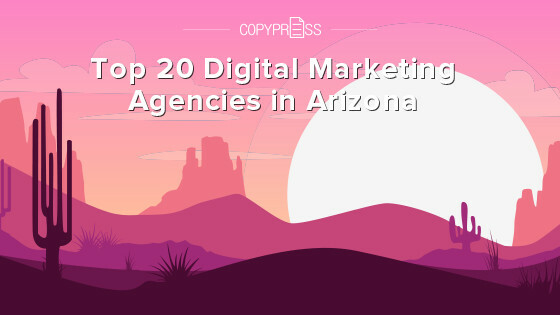 If you’re looking for an Arizona company to help you with your digital marketing efforts, these businesses offer a wide range of services that can help you achieve your goals. Did we miss one of Arizona’s great marketing companies? Share your favorites in the comments below.